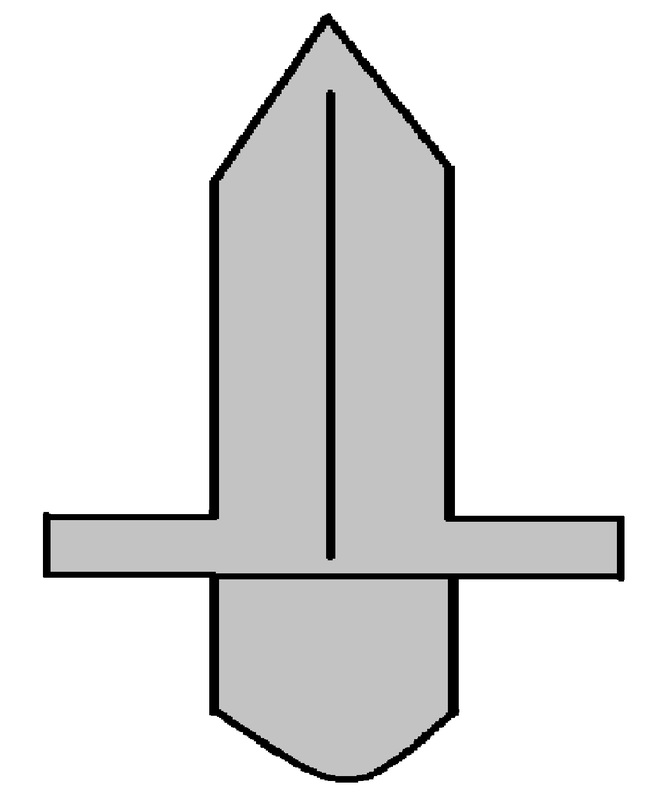 Print sword template out.Cut it out.Punch holes in tinfoil. Glue the tinfoil punch outs on sword. Cover Toilet paper roll in tinfoil. Glue Sword to Toilet Paper Roll. I just came up with this idea myself. Super Easy. Really Fun. I think the kids will enjoy gluing all the little tinfoil dots on. It gives the sword some glimmer. You can use tape when applying the sword to the toilet paper roll if you don't want to use glue. It would work fine as well.